bebop spoken here: Tonight (Friday July 15) @ The Globe Jazz Bar, Newcastle. Tonight (Friday July 15) @ The Globe Jazz Bar, Newcastle. 'A maverick at the heart of modern jazz' is how Ivan Hewett of The Daily Telegraph describes Zhenya Strigalev in his glowing review. This extraordinary talent is bringing his trio to The Globe in Newcastle on Friday 15 July. This could be a contender for the North East's 'jazz gig of the year'. Tickets are available online, and if you are quick you might get a promotional £12.50 ticket. Tickets will be available on the door for £15. Jazz.Coop members can buy two tickets for £25. 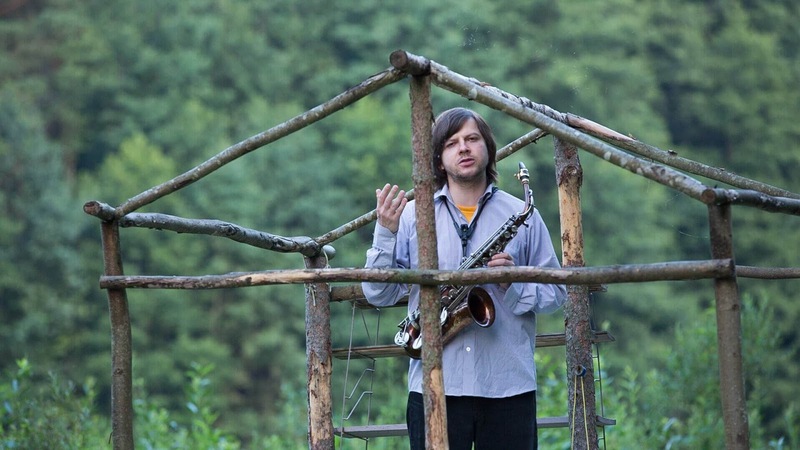 Alto saxophonist and composer Zhenya Strigalev is one of the rising stars of the European jazz scene and he is fast building a reputation on both sides of the Atlantic for his exhilarating take on contemporary jazz. His live shows are as exciting as they are uniquely eccentric, and after headlining around Europe with sold out shows at Porgy & Bess in Vienna and Ronnie Scotts in London he brings his powerhouse trio featuring the extraordinary US bassist Michael Janisch (Joe Lovano, Miguel Zenon, Gary Husband) and first-call Spanish drummer Marc Ayza (Jason Linder, Greg Osby) to blend the lines between jazz, funk, rock, electronica and improv in a genre mish-mash of high calibre interplay and raw emotion.